As an international student, once you’ve decided where you’re going to go to school, the next step is figuring out where you’re going to live. If you don’t want to or can’t live on campus, and don’t want to deal with the hassle of finding roommates and renting an apartment, another great housing option is a homestay. If you’re interested in a homestay arrangement during your time in the US, American Homestay Network is a great option. A homestay is an arrangement by which international students live in the home of an American family during their time in the United States. This might be a basic room-rental arrangement, or you may prefer complete host/family immersion. Generally, you will have your own room, but you might join the family for meals and take part in their normal daily routine. Host families are often families with teenagers or young children, but homestays are offered by anyone. With a homestay students have the opportunity to engage in activities “off the beaten trail” rather than just see the typical tourist sights. What is American Homestay Network? American Homestay Network? is a network that places international students in high quality, safe and well managed homestays. They are affiliated with the Australian Homestay Network, which began in 2006 with the realization that there were no set governing standards for service, quality, and safety of homestay for international students. The American Homestay Network was established in 2012 to provide the same level of service to international students in the US. American Homestay Network is able to place students in great cities across the US like D.C., Miami, Chicago, Portland and more! However, just another characteristic that makes AHN unique is their ability to place students in homestays close to their campus and provide students with different options on transportation to get to class. 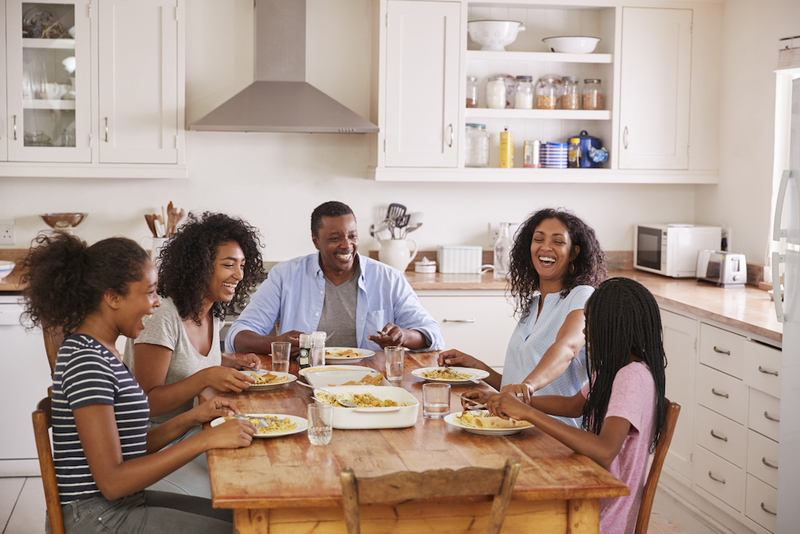 In order to ensure the safety of all students, AHN conducts national criminal background checks, in-home interviews, and complete home inspections for all potential hosts. You will be matched with a host family near your school, and your host will provide you with your own bedroom and an agreed-upon meal plan. Your host family will help you learn local customs, how to navigate the local transportation systems, and guide you along the way as you become accustomed to the American way of life. Often, students become lifelong friends with their host families. There are a number of reasons that international students might choose a homestay over other accommodation options. At the top of this list is the opportunity for cultural immersion. Homestays make it easier for international students to have an authentic American experience. Your host family can help you bridge the cultural divide, boost your English skills, and provide you with the care and support that other housing options don’t offer. Homestay arrangements are also often safer than other housing options. In a homestay, you have a family looking out for your well-being. Your host family will provide you with the care and oversight that your own family would give you back home. In addition, AHN offers a 24/7 emergency hotline for students who are in crisis. If you are considering a homestay during your time in the US make sure you check out the American Homestay Network .